BOSTON - The Federal Reserve will probably need to raise interest rates in December and then three of four times “over the course of next year,” assuming the U.S. unemployment rate continues to fall and inflation rises, Boston Fed President Eric Rosengren said. If inflation reaches the Fed’s goal while the unemployment rate, now at a 16-year low of 4.2 percent, is below 4 percent that may be a signal that the economy could be overheating, Rosengren suggested in an interview. 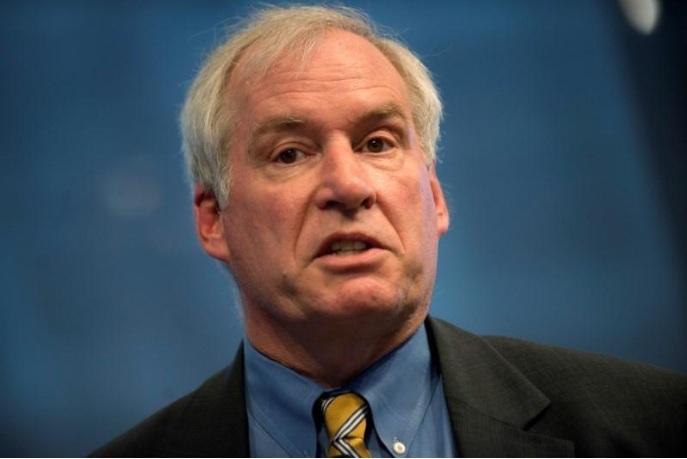 To stabilize inflation at 2 percent, Rosengren said, “you might have to overshoot” by pushing rates higher than the level expected in a healthy economy. In September, Fed officials estimated that so-called neutral rate to be 2.8 percent. The comments mark Rosengren, who does not vote on policy this year, as slightly more hawkish than most of his colleagues. The Fed left rates unchanged last month, but signaled it would likely raise them again in December, and three more times next year. Still, Rosengren’s view lags the faster rate-hike path signaled by many monetary policy rules, including one authored and championed by Stanford University professor John Taylor. Monetary policy rules specify where interest rates should be given the level of inflation and the state of the economy, and central bankers often use them to guide their rate-setting. Rosengren spoke at an interview on Saturday at the close of a two-day conference on monetary policy rules, during which Taylor gave a formal presentation. Taylor, among several candidates being considered by President Donald Trump to run the U.S. central bank after Fed Chair Janet Yellen’s term ends in February, has long argued that the Fed has kept rates too low for too long because of the risk of unwanted inflationary pressures. Still, asked how he would feel if the next Fed chair wanted to enshrine a rule that suggests a faster pace of rate hikes into law, Rosengren sounded unbothered. The Federal Reserve will probably need to raise interest rates in December and then three of four times “over the course of next year,” assuming the U.S. unemployment rate continues to fall and inflation rises, Boston Fed President Eric Rosengren said.